Early Childhood Australia (ECA) is the national peak body for early childhood advocating for children birth to eight years. ECA is committed to building the capacity of the early childhood education sector and is your gateway to professional knowledge and networks. Early Childhood Australia Northern Territory Branch (ECA NT) is the Northern Territory Inclusion Agency (NT-IA) delivering the Australian Government, Inclusion Support Programme (ISP) across the NT. 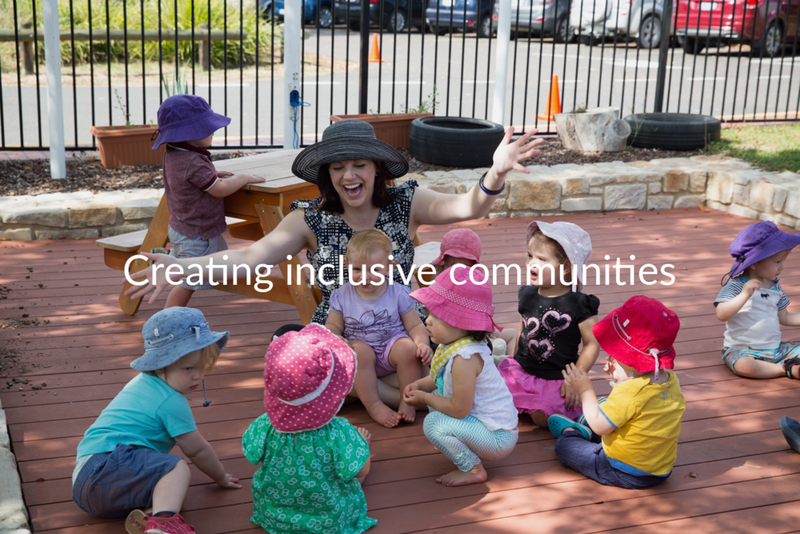 The ISP is focused on building the capacity and capability of early childhood education and care services to include children with additional needs; including children being diagnosed or with a disability, those from diverse cultural and language backgrounds, refugee children, Aboriginal and Torres Strait Islander children and vulnerable children. Within the ISP the NT-IA Inclusion Professionals are available to all eligible services to provide on the ground tailored inclusion advice and support. In addition, ECA NT is the National Disability Insurance Scheme (NDIS) Early Childhood Early Intervention (ECEI) Partner in the Community for the Darwin Urban region, including Darwin, Palmerston and Litchfield. As the ECEI partner, we work with families and carers of children with developmental delays and disabilities to identify their children's needs and to assist families to reach their goals for their children.